Tap classes allow students to make music with their feet! This fun and rhythmically based class is always upbeat and always popular. 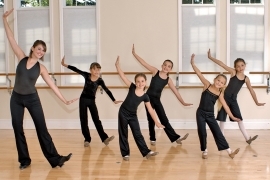 Gotta Dance has designed a tap syllabus that focuses on developing coordination, rhythmic dexterity and musicality in a fun and upbeat environment. Our tapclasses consist of a warm-up followed by lessons in technique and advanced combinations. The pairing of rhythmic articulation with music helps dancers to develop better precision and technical proficiency. Our educators draw predominantly from codified movements and techniques that will be present in any tap class across the country. This allows students to easily utilize these skills in a school musical or other dance opportunities.